Mrs. Versie Mae McClain DuPont was born to the late David and Laurie McClain on July 20, 1944 in Claxton, GA. She attended public school of Claxton, GA and graduated from Evans County High School in 1963. Versie is a 1967 graduate of Savannah State College and she received her Master of Science Degree from Savannah State and Armstrong Atlantic State. She was joined in holy matrimony to Donald L. DuPont and for 49 years he courted her every day of her life. To the union three children were born. Versie joined St. John Baptist Church (Claxton, GA) at a very young age. 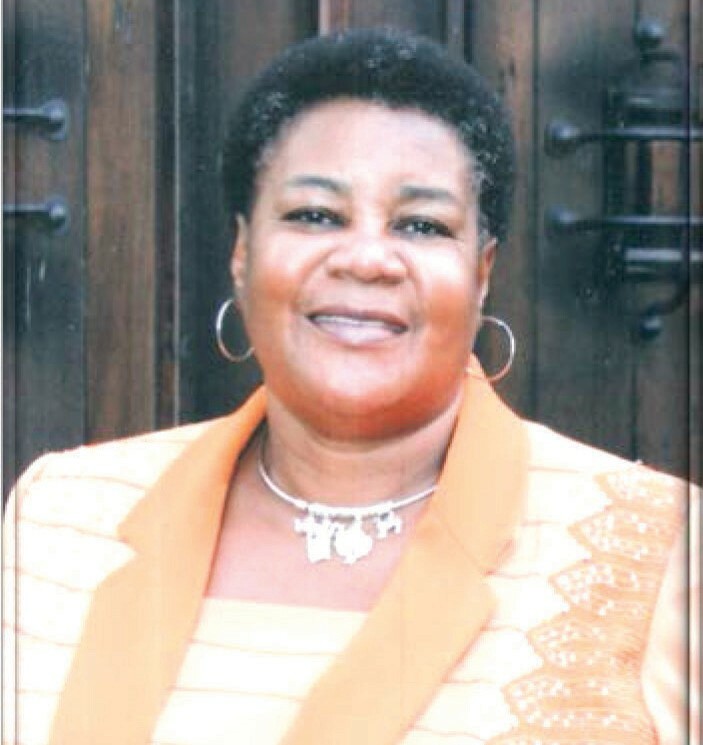 She was an active member until moving her membership to St. John Baptist Church the Mighty Fortress in Savannah, GA where she served on the Deaconess Ministry, as Treasurer of the Education Ministry, a member of the Sunday School and member of the Married Couples Ministry. She was Superintendent of the Sunday School for 15 years. Versie’s life sion and profession was education. She taught for 36 years covering grades 2-6 in Evans County, Jasper County, Germany for a year and Chatham County. In addition to maintaining excellence in the classroom, she served as Grade Level Chairperson and District Spelling Bee Chairperson. She retired in 2004 from Juliette Low Elementary School. State University (SSU) President’s Club, the SSU Community Booster Club and the Savannah Chapter of SSU National Alumni Association. Her past positions held include Financial Secretary, Hospitality Chair, Awards Chair and Corresponding Secretary. She has served as Homecoming Queen of the Savannah Chapter, National Attendant to Savannah State University National Alumni Queen as well as the 2013-2014 Savannah State University National Alumni Queen. She was very active in the local community. Versie held a Life Membership in the following organizations: Georgia Retired Educators Association, NAACP, King Tisdell Cottage Foundation, Ralph Mark Gilbert Civil Rights Museum, NCNW, Top Ladies of Distinction, Inc. and Delta Sigma Theta Sorority, Inc.; she was also a Diamond Life member of Savannah State University National Alumni Association. She organized the Sparkling Jewels Red Hatters and was the Queen Mother. Versie was also a committed and active member of the Spencer E. White, Sr. Scholarship Committee of the Burean Association, Evans County High School National Alumni Association, Electa Chapter #1 Order of Eastern Stars, and the Liberty City Neighborhood Association. Versie will be remembered for her smile, grace and giving heart! She entered into God’s rest on November 18, 2O14. Versie leaves to mourn: a devoted husband, Dea. Donald L. DuPont; children: Donald (Chrishna) DuPont, Versonya M. DuPont, Dwayne DuPont; grandchildren, Jordan Iman DuPont, Chandler Ari DuPont, Gabriel DuPont; siblings: Minnie Smith (deceased), Charlester McClain, Aaron (Helen) McClain, David (Almether) McClain, Jr., Penny Mobley; a host of nieces, nephews, cousins, friends and acquaintances. She also leaves a host of spiritual children whom she loved. She also leaves to mourn her “sisterfriend” Beatrice Campbell. Funeral service were held on Tuesday, November 25, 2014 at St.. .John Baptist Church Moody Funeral Home of Claxton,Ga was is in charge of the services.